This booklet is signed by the author on the preface page, and comes with an post-publication introduction slip by the author fixed onto the inside front cover. 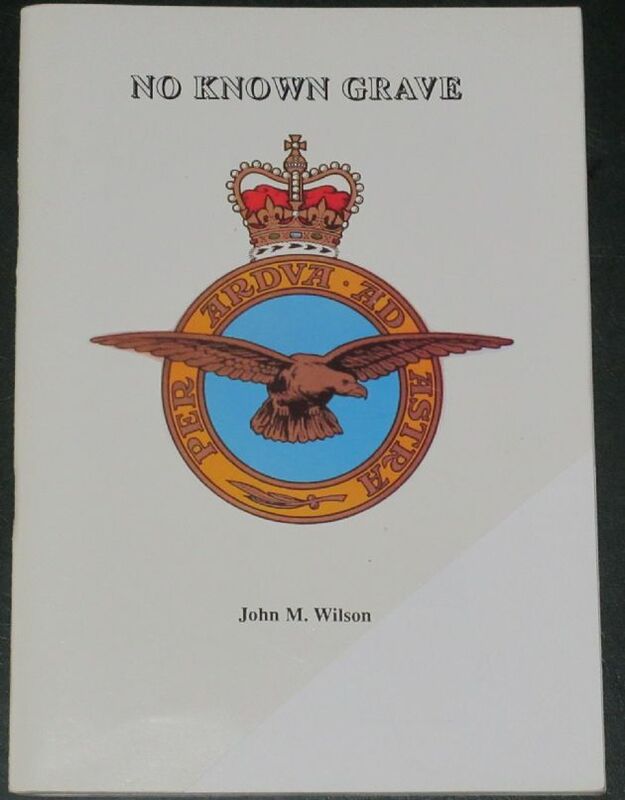 This introduction reads: 'When WWII ended in 1945 the MOD imposed a 30 year rule which prevented any research being undertaken into missions flown by the RAF over enemy territory during the conflict. This meant that the wartime missions were not declassified until 1975 by which time my Mother and Father had gone to their graves not knowing what had happened to my late brother Ken who was a Flying Officer in 78 Squadron. I started to research with a view to tracing the steps which Ken had taken from joining the RAF as a V.R. in 1939 until the night of July 29/30th, 1943 when his aircraft failed to return from a mission over Germany and also to try to find out what had happened to him. Having gone as far as I could with the research at that point in time I was asked by ex RAF personnel to produce this little book. to record for future generations what it was like for a family to receive the so called "Dreaded Telgram" in WWII. I do not have a computer and did not have a typewriter or any previous experience· in the field of writing' at that time hence the book was printed in the .old fashioned way with an elderley typesetter making mistakes faster than I could correct them which proved disastrous for me with a deadline to meet! However, in spite of the odd typesetters mistakes it went into some libraries, shops and museums in this country and has turned up in Canada, America, Australia and the Netherlands (from letters received). The condition of the booklet is generally good - except for the fact that the front cover has been clipped across the bottom right hand corner (and thus removing a considerable portion of the front card cover). Other than this, the covers have one or two minor scuffs but are clean and tidy, the staple spine is intact, and all pages are intact, unblemished and tightly bound.